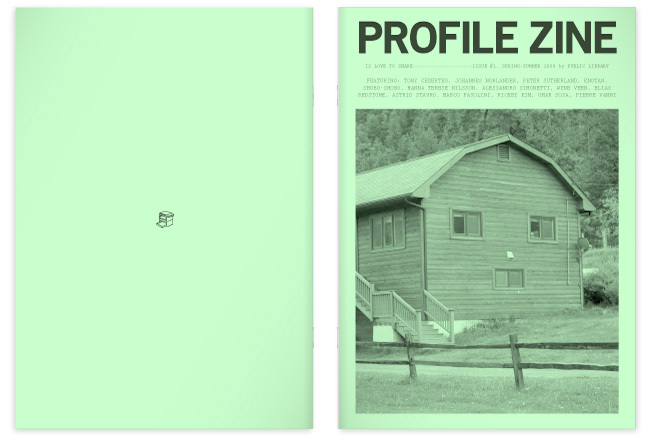 PROFILEzine is a new discovery of mine. 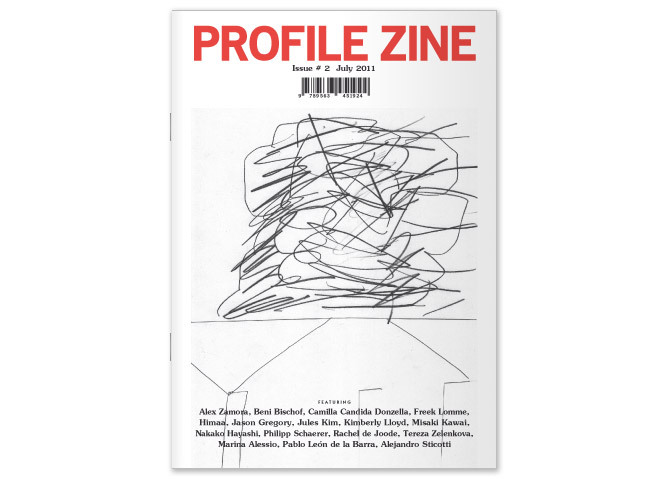 The first issue, above, was published in spring/summer 2009 by Emilio Marín and Diego Córdova of Public Library. The concept is simple – interesting creatives from around the world answer a short list of questions like, “Say something about an object you love,” “Say something about an object you hate,” “What have you been reading lately,” and “Which place or city would you recommend us to visit? Why?” The questions and answers are accompanied by related images to form the bulk of the magazine. A tiny cookbook also accompanies the first issue with “recipes and recommendations” by some of the people featured in the issue. Issue no.2, the latest, was published in the summer of 2011. It includes a bit of color (red) and they amped up the design to make it look more like a magazine than a zine, although it still retains the fun, punky, collage vibe of issue no.1. I love this little magazine. It’s easy and fun to read, simple in it’s design and concept, and full of interesting people with great recommendations who send you off to look for and find new things. I would be delighted to answer their questions any day.